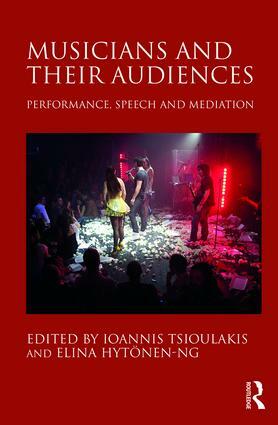 I have recently had a chapter published in the book Musicians and their Audiences, which is edited by Ioannis Tsioulakis and Elina Hytönen-Ng. My argument is that musicians learn to perform by watching other musicians on television, film and video, and that audiences similarly learn how to perform by watching the screening of audiences. I suggest that there have been various relationships between the screening of fans and musicians. At times, as with Elvis Presley’s first performances, audiences have provided an act of interpretation: their reactions help to attach meaning to the music. Later, with the British invasion and other examples of teen ‘hysteria’, the actions of artists and audiences are not always aligned. Here, the audience can be viewed as causing interference. The rock years of the 1960s and 1970s offer another model. Here fan behaviour can be frowned up. As such, there has been incompatibility between the rock aesthetic and previous form of audience representation. Finally, I look at the video era, which has brought interaction between fans and artists: everyone is filming each other. To buy the book costs loads of pounds, but you can access an earlier version of the chapter here.